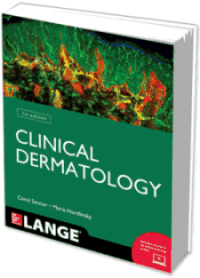 Featuring a strong focus on diagnosis and treatment, Clinical Dermatology is a concise yet thorough guide to 100 of the most common dermatologic conditions. This latest addition to the LANGE Clinical series is enriched by a full-color presentation and a logical, easy-to-use organization. More than 250 full-color illustrations Divided into three sections: Fundamentals of Diagnosis and Treatment, Common Skin Diseases, and Problem Based Dermatology (which includes cases) "Pearls" and "Pitfalls" throughout the text. Copyright © 2013 McGraw-Hill Education. All rights reserved.